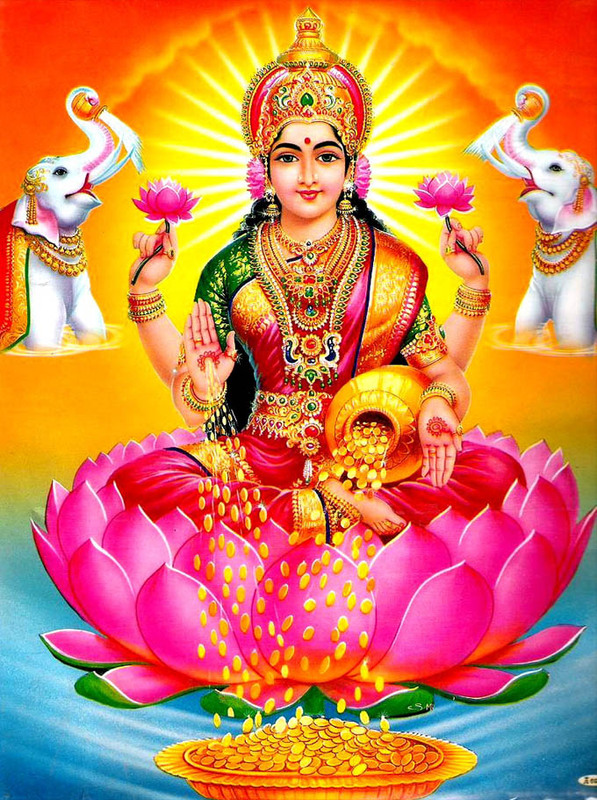 Veera Lakshmi or Dhairya Lakshmi is the Goddess of bravery and fearlessness. She is the bestower of valour in battles and courage and strength for overcoming difficulties in life. She blesses devotees with a mind to conquer everything. To worship her is to know no hesitation , have no doubts of success and so have the self-confidence to ensure success of one’s ventures. Here’s a story to remember. Once upon a time there was a king named Bhoj Raj. Under his rule, the people was very happy and they had all the things they needed. King Bhoj Raj was a devotee of the Ashta Lakshmi.